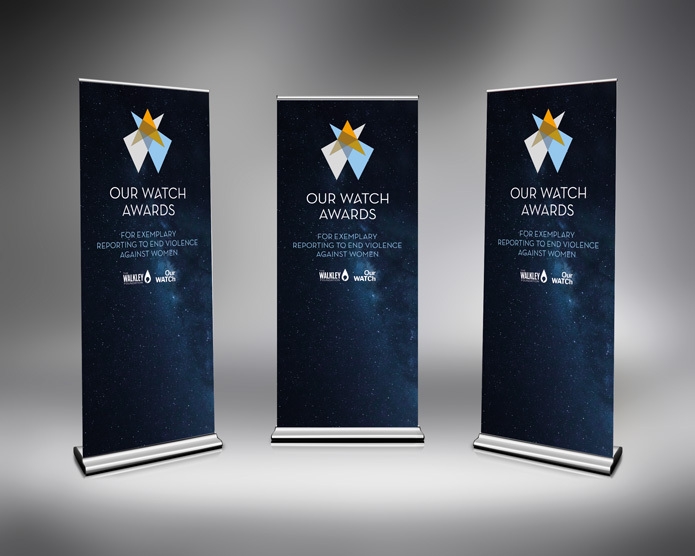 The Our Watch Awards were created to recognise reporting that highlights the causes of violence and what we as a society can do to ‘stop it before it starts’. Ken Lay, former Victorian Police Commissioner, said that for “many years violence against women has been one of Australia’s filthy little secrets”. Natasha Stott Despoja, Chair of Our Watch described violence against women and their children “a national emergency” in Australia. Violence against women and their children generates daily coverage in Australia. 1 in 3 Australian women have encountered some form of violence. 1 in 5 has experienced sexual assault. The media have an important role to play in helping shape attitudes, perceptions and knowledge that give rise to, minimise or excuse violence against women and their children. Administered by The Walkley Foundation, the awards were launched at the Australian Press Club with Our Watch ambassador and Australian of the Year, Rosie Batty. While the brand needed to be a rallying cry to all of the Australian media, it couldn’t focus on the horrors of violence. The brand needed to recognise and celebrate achievement and in doing so, inspire others to strive to be better. 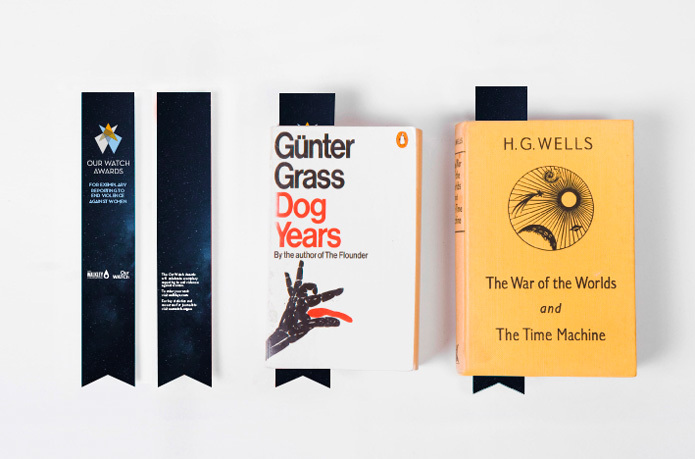 The awards needed to be prestigious and aspirational. They needed to be something that everyone in the Australian media would aim for and an event that they would all want to attend. 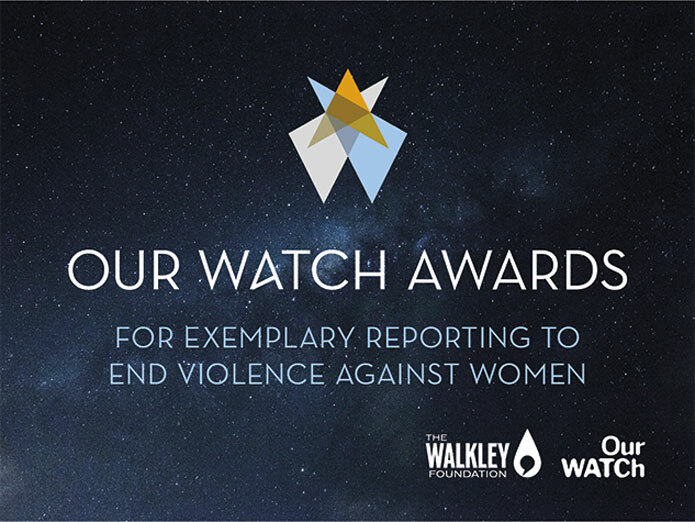 The Our Watch Media Awards urge the media to use their influence to drive nation-wide change in the culture, behaviours and attitudes that underpin family violence. Rosie Batty says that journalists are “uniquely placed to help stop violence before it starts”. A number of names for the awards were considered. 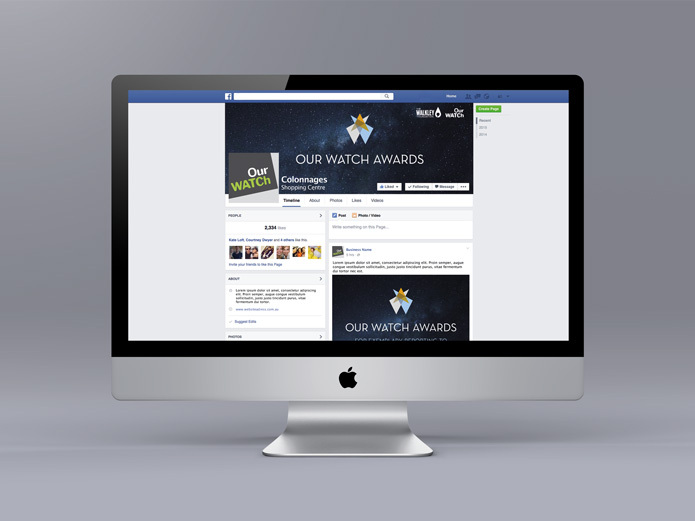 However, as Our Watch was still relatively new as a brand, it decided to focus on investing in the ‘Our Watch’ name, as the awards are fundamental to the organisation’s objectives. A distinctive brand value proposition and identity was developed specifically to engage the Australian Media and unite the community. The tagline simplifies a complex message into a powerful and aspirational statement; “for exemplary reporting that ends violence against women”. The awards are also endorsed by The Walkley Foundation to provide credibility and emphasise their independence. 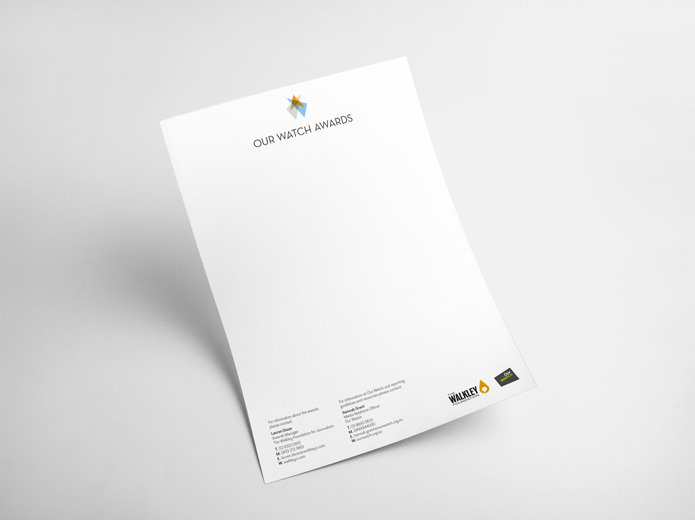 “The design is positive and promotes excellence and optimism. I believe the values and personality traits articulated are sound and should act as guides/reference point for those in the media reporting and contributing to the national conversation about violence against women and prevention/elimination.” added Kristine. Truly Deeply conducted stakeholder engagement, developed the brand value proposition, key messaging, naming, designed the brand identity, digital communications and the award trophy.